Anchor Artiste Metallic A beautiful blended yarn which provides shimmer and glamour. 80% viscose 20% metallised polyester.Warm wool cycle. Latest Patterns 3mm/11UK/3 US 29-34 sts x 36-40 rows Approximately 100 metres (109 yards) per 25g ball. Warm wool cycle (30 deg C). Rowan Alpaca Chunky A beautiful alpaca yarn which is amazingly soft. The rounded chain construction creates a yarn which is light in weight but yet warm and comforting to wear. 98% Alpaca, 2% Polyamide. Hand wash normal. Rowan Alpaca Classic Made of a cotton net which is filled with superfine alpaca fibers, resulting in a wonderfully soft, light weight yarn you will fall in love with. Due to its fine weight, and intense colour palette, Alpaca Classic is ideal for fairisle patterns and a multitude of garments and accessories. 57% Alpaca, 43% Cotton. Hand wash warm. Rowan Alpaca Colour Made with Baby Alpaca. The beautifully soft and gently undulating palette of the ‘Alpaca Colour’ yarn truly speaks for itself, it’s a pleasure to knit and wear. 100% Alpaca. Hand wash normal. Rowan Alpaca Merino DK Baby Alpaca, Super Fine Alpaca, Extra Fine Merino Wool and Nylon, blended together creating a super soft extra lightweight yarn with the meterage of a 4ply weight. The chainette construction gives the finished fabric a beautiful soft weightless feel, to knit and wear. 83% Alpaca, 7% Wool, 10% Nylon. Hand wash normal. Rowan Alpaca Soft DK A wonderfully soft mix of extra fine and super fine merino wool and baby alpaca. This premium yarn is a standard, classic DK weight yarn and is ideal for all kind of garments and accessories. 70% Virgin Wool, 30% Alpaca. Hand wash normal. Rowan Baby Cashsoft Merino The perfect yarn blend, soft to the touch and gentle on the skin. Great stitch definition and an appealing pallet makes it ideal for babies, kids and adults alike. With more than an echo of Rowan’s ‘Cashsoft’ this yarn takes fine fibre merino and blends it with acrylic microfiber, which is especially fine and therefore super soft and cashmere, meaning it is machine washable with a touch of everyday luxury. 57% wool, 33% acrylic, 10% Cashmere. Rowan Baby Merino Silk DK A luxury machine washable blend of merino wool and silk that has a wonderful soft handle, perfect for your little treasures. 66% Merino Superwash Wool, 34% Tussah Silk. Rowan Belle Organic Aran SALE 50% OFF! Organic Aran. 50% Organic Wool, 50% Organic Cotton. Latest Patterns 4½ mm/7 UK/7 US 19 sts x 26 rows Approximately 90 metres (98 yards) per 50g ball. Hand wash cold. Rowan Belle Organic DK SALE 50% OFF! Organic DK. 50% Organic Wool, 50% Organic Cotton. Latest Patterns 4 mm/8 UK/6 US 22 sts x 30 rows Approximately 120 metres (131 yards) per 50g ball. Hand wash cold. Rowan Big Wool Colour A natural extension to the Big Wool family. This bright and fun yarn is easy to knit, knitting to the same tension as Big Wool makes this yarn ideal for adding colour to any Big Wool garment. 96% Wool 4% Polyamide. Hand wash warm. Rowan Big Wool Silk Adding a little bit more luxury to Rowan’s Big Wool, this is yarn is 70% wool and 30% silk, giving a beautiful sheen to the knitted fibre. Soft to touch and luxurious to wear this is a little bit extra for all lovers Big Wool. Hand wash normal. Rowan Breezed 80% cotton 20% linen. 50g doughnut balls. Machine wash 30 deg. Rowan Brushed Fleece A super soft blend of extra fine merino wool and baby alpaca. The yarn has a soft marl colour effect and is quick to knit making very wearable, warm and lightweight. 65% Wool 30% Alapaca 5% Polyamide. Hand wash warm. Rowan Cosy Merino A boucle yarn lending itself perfectly to textured stitches. This Luxury wool is blended with Cashmere and Yak making it a fantastic choice for your winter accessories. Not only is the yarn beautifully soft, the natural qualities of Yak and Cashmere offer less static, meaning it’s less likely to cling to your body or other clothes while providing lightweight insulating warmth. 73% Wool, 15% Cashmere, 7% Yak, 5% Nylon. Hand wash warm. Rowan Selects Camello A blend of 68% extra fine merino, 18% baby camel and 14% nylon, which was added to give strength to the chainette structure of the yarn. This lofty yarn has long yardage and is available in ten beautiful shades. Hand wash warm. Rowan Colourspun Wool and mohair blended yarn which is sublime to knit. Each shade is produced by blending two printed and two solid colours together and then twisted with a printed binder. Beautiful shaded colours in which the tones subtly blend from one to the other. Hand wash normal. Rowan Chenille 100% cotton, soft and yet textured to the touch. This yarn takes cables and textured stitches very well. Available in strong jewel like colours and in a 50 gram ball it is ideal for colour work, mixing with other Rowan core yarns, but equally makes very wearable and warm garments when knitted by itself. Maschine wash warm. Rowan Cocoon A lovely chunky wool and mohair roving yarn, having the appearance of a homespun yarn. 80% merino wool, 20% kid mohair. Hand wash only. Rowan Creative Focus Worsted A lovely wool and alpaca blended aran weight yarn. The perfect 'all round' yarn for stitch, pattern and colour. Knits to the same tension as Pure Wool Worsted. 75% Wool, 25% Alpaca. Hand wash cold. 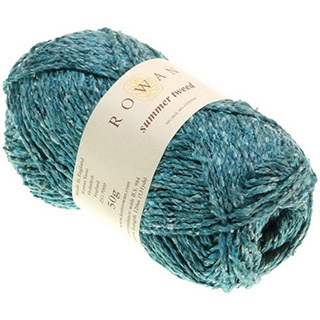 Rowan Creative Linen A lovely 50% Cotton & 50% Linen dry handle yarn in 20 Beautiful shades. Hand wash cool. Rowan Fazed Tweed An interesting mix of wool, and fine alpaca, with a filled tube like construction this yarn gives a soft blended tweed like knitted fabric. 72% Wool 22% Alpaca 6% Polyamide. Hand wash warm. Rowan Fur Made from wool with a little polyamide to bind. A massive trend for the season, fur is a great addition to any knitters wardrobe and ideal for collars, cuffs and small gilets. 97% Wool 3% Polyamide. Hand wash warm. Rowan Fine Lace This beautiful fine lace weight yarn is made in a blend of 80% Baby Suri Alpaca, 20% Fine Merino Wool. Hand wash cold. Rowan Fine Art SALE 20% OFF! A blend of fibre and colour. Designed for socks, shawls and other accessories, it is made with merino wool, kid mohair, mulberry silk and polyamide to make it suitable and durable for all projects. Wool: 45%, Mohair: 20%, Silk: 10%, Polyamide: 25%. Hand Wash warm. Rowan Fine Art Aran SALE 20% OFF! A luxury blend of merino wool, kid mohair, alpaca and mulberry silk and like the other yarns in the Fine Art family is hand painted with a blend of colours to achieve its unique colour effect. 20% Mohair, 50% Wool, 25% Alpaca 5% Silk. Hand Wash warm. Rowan Fine Silk A fine yarn with a silky sheen in intense jewellery colours. It has a soft touch due to merino and viscose fibers. 40% silk 30% wool 30% viscose. 25g doughnut balls. Handwash. Rowan Finest A blend of extra fine merino, cashmere and royal alpaca wool. Soft to the touch and comfortable to wear, knitting to a 4ply tension this yarn gives great stitch definition. 50% Wool 20% Cashmere 30% Alpaca. Hand wash warm. 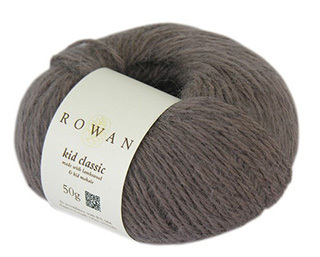 Rowan Selects Finest A blend of extra fine merino, cashmere and royal alpaca wool. Soft to the touch and comfortable to wear, knitting to a 4ply tension this yarn gives great stitch definition. 50% Wool 20% Cashmere 30% Alpaca. Hand wash warm. Rowan Frost SALE 50% OFF! A soft to the touch metallic yarn in a Alpaca (20%) and Viscose (80%) blend. This yarn takes textured stitches very well allowing the inherent metallic shine and colour mix to show. Hand wash cool. Rowan Hemp Tweed A blend of 75% Wool and 25% Hemp, resulting in a modern tweed effect, soft to the touch yarn which is a joy to knit. Wool and Hemp create ‘breathable’ knitted fabrics which are cool to wear in warm weather and warm in colder temperatures. Hemp fibre is resistant to stretching so does not distort with use and naturally softens with wear – Hemp does not wear out it wears in. Machine wash 30deg. Rowan Hemp Tweed Chunky SALE 10% OFF! A modern tweed effect, soft to the touch yarn which is a joy to knit. Wool and Hemp create ‘breathable’ knitted fabrics, resistant to stretching which naturally softens with wear – Hemp does not wear out it wears in! 75% wool 25% true hemp. Maschine wash 30 deg. Rowan Kid Classic Classic and sophisticated in every sense. Soft and sensuous, reflecting the quality and luxury of it’s fibres. 70% Lambswool, 26% Kid Mohair, 4% Nylon. Rowan Kidsilk Amore Rowan's Kidsilk Haze in a multi strand and chainette construction, giving all the luxury of Kidsilk Haze in a heavier weight. Ideal for accessories and small projects. Mohair: 70%, Silk: 30%. Hand wash only. Rowan Kidsilk Amore Shimmer Rowan's Kidsilk Haze in a multi strand and chainette construction, giving all the luxury of Kidsilk Haze in a heavier weight. Ideal for accessories and small projects. Mohair: 66%, Silk: 27%, Polyester: 4%, Nylon: 3%. Hand wash only. 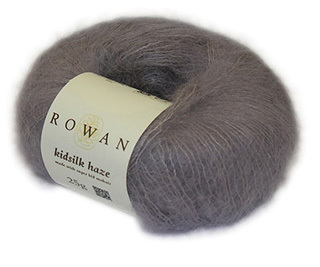 Rowan Kidsilk Haze A versatile mix of 70% Super Kid Mohair and 30% Silk which can be cleverly adapted to create a lustrous, cobweb like finish of knitted double to create a fabric with more substance. Hand wash only. Rowan Kidsilk Haze Eclipse Super soft to the touch and beautiful in the knitted fabric, made with angora, wool and polyamide for strength, this yarn will knit to create a garment that will be a joy to wear. 66% super kid Mohair, 27% Silk, 4% Polyester, 3% Nylon. Hand wash cold. Rowan Kidsilk Haze Glamour The versatile mix of 70% Super Kid Mohair and 30% Silk used in Kidsilk Haze now has added sequins for that extra special evening out. It can be cleverly adapted to create a lustrous, cobweb like finish of knitted double to create a fabric with more substance. Hand wash only. Rowan Kidsilk Haze Stripe A self striping version of Kid Silk Haze which is 70% super kid silk Mohair and 30% silk. The colour combinations have been cleverly put together by the master of colour 'Kaffe Fassett' and when knitted as a scarf will compliment any outfit. One ball of 50 g is enough to knit a scarf and can also be knitted to any Kid Silk Haze pattern. Hand wash only. Rowan Kidsilk Haze Trio Kidsilk Haze Trio is three ends of Rowan's ever popular Kidsilk Haze spun together to make a beautiful soft and lightweight yarn. With a pallet of 4 deep colours and one natural shade (snowberry) Trio offers all the softness of Kidsilk Haze in a heavier yet lightweight yarn. 70% super kid mohair 30% silk. Hand wash only. Rowan Kidsilk Haze Vintage A stunning blend of 70% mohair and 30% silk and features a white core, giving a subtle melange effect. When knitted, a vintage-look fabric is created, making it an ideal choice for all layering pieces, accessories and essential shapes. Hand wash.
Rowan Lenpur Linen A beautiful yarn with a wonderful drape making it perfect for the summer season. 75% VI Lenpur, 25% Linen - see the Lenpur Linen Collection for more details 4 mm/8 UK/6 US 22 sts x 30 rows Approximately 115 metres (126 yards) per 50g ball. Warm wool cycle (30 deg C). Rowan Lima This beautifully soft Lima yarn is available in rustic shades varying from greys, greens, blues, browns and gold. 84% Baby Alpaca, 8% Merino Wool, 8% Nylon. Latest Patterns 5½mm/5UK/9US 20 sts x 26 rows Approximately 100 metres (109 yards) per 50g ball. Warm wool cycle (30 deg C). Rowan Lima Colour This beautifully soft Lima yarn is made with Baby Alpaca & Merino Wool. 84% Baby Alpaca, 8% Wool, 8% Nylon. Hand wash cold. Latest Patterns 5½mm/5UK/9US 20 sts x 26 rows Approximately 110 metres (120 yards) per 50g ball. Warm wool cycle (30 deg C). Rowan Mohair Haze Wonderfully soft and fluffy quality is both warm and exceptionally light to wear. Knits the same as Angora Haze but for every 1.5 balls of Mohair Haze uses 1 ball of Angora Haze. 30% Wool, 70% Mohair. Hand wash normal. Rowan Panama A beautiful fine cotton, linen and viscose blended yarn has a lovely draping. 55% viscose, 33% cotton, 12% linen. Latest Patterns 3¼ mm/10 UK/3 US 27 sts x 36 rows Approximately 135 metres (148 yards) per 50g ball. Hand wash cold. Rowan Purelife Revive Made from used garments, then spun into this beautiful, high quality yarn. 36% Recycled Silk, 36% Recycled Cotton, 28% Recycled Viscose. Viscose is a natural fibre sourced from a variety of places usually plant material. Latest Patterns 4 mm/8 UK/6 US 22 sts x 30 rows Approximately 120 metres (131 yards) per 50g ball. Hand wash warm. Rowan Pure Linen Made with 100% natural linen, Rowan’s Pure Linen has a soft sheen and a relaxed drape. This yarn is ideal for light weight and elegant summer knits, that are easy and cooling to wear. Hand Wash warm. Rowan Savannah A lovely matt cotton linen yarn which has a tape appearance. 94% cotton, 6% silk. Latest Patterns 5 mm/6 UK/8 US 18 sts x 26 rows Approximately 80 metres (88 yards) per 50g ball. Hand wash cold. Rowan Shimmer A beautiful blended yarn which provides shimmer and glamour - see Magazine 44 for more details 3.25-2.75 mm/10-12 UK/3-2 US 29-34 sts x 36-40 rows Approximately 175 metres (191 yards) per 25g ball. Warm wool cycle (30 deg C). Rowan Silkystones SALE 50% OFF! A melange of toussah silk & linen, and each shade is a soft subtle blend of shades. Soft to the touch and with the light silken sheen of wet stones (hence the name) this yarn sits at the heart of Rowan’s Spring & Summer season. 52% Silk, 48% Linen. Hand Wash warm. Rowan Soffili Yak A super soft, brushed effect blend of 32% nylon, 27% wool, 25% alpaca and 16% yak, which is created using the patented soffili production method. This results in a stunning, voluminous, light and airy yarn. Hand wash.
Rowan Selects Sultano Made in Italy. A luxurious blend of 38% silk, 38% mohair and 24% cashmere the collection has a chic feel which will complete any outfit. Hand wash warm. Rowan Summerspun A lovely 50% Cotton and 50% Wool blended yarn. Hand wash cold. Rowan Summer Tweed SALE 50% OFF! Combining the luxury of silk (70%) with the durability of cotton (30%), this is a perfect all year round yarn. Latest Patterns 5mm/6UK/8US 16sts x 23 rows Approx. 108 metres (118 yards) per 50g hank. Hanks will change to balls when all stocks of hanks have run out. Summer Tweed balls - length 120m (131 yards). Rowan Truesilk SALE 25% OFF! Truesilk is made with 100% mulberry silk making it light with a natural sheen that is found in silk. The yarn is a chainette type construction which means the knitted garments hold their shape and drape gracefully on the body. Hand Wash.
Rowan Tumble SALE 50% OFF! Tumble is a glorious lightweight,soft and lofty yarn. This yarn is 90% Alpaca and 10% Cotton and is has a pallet of 6 strong colours and is the ideal yarn for those snuggly soft Autumn/Winter garments and accessories. Hand wash cool.